We are an interdisciplinary professional consulting firm. Our services focus on energy, utility, environment, cultural resources, art, and education. We work with many organizational clients, including: professional service firms, businesses, nonprofits, and government agencies. We help our clients improve performance through analysis of existing challenges and development of future plans. We also provide our client's with project development, feasibility analysis, project management, grant/contract management, product development, and technical assistance. Our professionals are national leaders in the feasibility study, formation and operation of tribal utilities. On our team are trained attorneys and we work extensively for tribes, having led the efforts to analyze, form and advise three of the newest currently operating tribal utilities in the U.S.
We have performed numerous feasibility studies for tribal utilities and assisted many tribes in their energy related issues. Our successes have required a specific understanding and application of the unique technical, regulatory, legal and sovereignty issues faced by Indian tribes as they form utilities and achieve their energy goals. Our Professionals are national leaders in developing intertribal, intersectoral, and intergovernmental projects and policy processes. We have worked extensively for tribes on water rights adjudication, water resource management agreements, carbon sequestration, energy conservation, forestry management, land use, range and agriculture, and integrated resource management. We have organized the Changing Currents Tribal Water Policy Project www.changingcurrents.org. We have worked on social enterprise projects that advance tribal economic development in coordination and alignment with tribal environmental stewardship principles. We are currently working with NW Tribes to establish a regional tribal energy efficiency network, see www.nwtribalenergy.net. Our Professionals are educators and have taught middle school, high school, college, graduate, and professional degree programs. We have developed educational curriculum around STEM education, STEAM education, Tribal Relations, Comparative Tribal Governance, Intergovernmental Relations, and developed specialized workshops. Most recently, training for the ATNI Energy Program’s Tribal Energy Efficiency Network. We currently have commissions and contracts with University of Oregon, The Evergreen State College, Oregon State University and Portland State University. Our professionals have expertise in enterprise, project and program management. We have extensive experience in grants and contracts management and procurement. Our professionals have expertise in mediation, facilitation, and collaborative processes. We have work with our clients to develop regulatory codes, business plans, building resource networks, and develop sound creative projects. Ms. Calica leads, manages and ensures Kanim Associates' values, mission and vision are implemented in the firm's work, services and products. She is responsible for developing and coordinating the firm's operation strategy, goals and direction. She ensures the necessary operational, financial, regulatory, and day-to-day tasks are in order for the firm's successful operations. 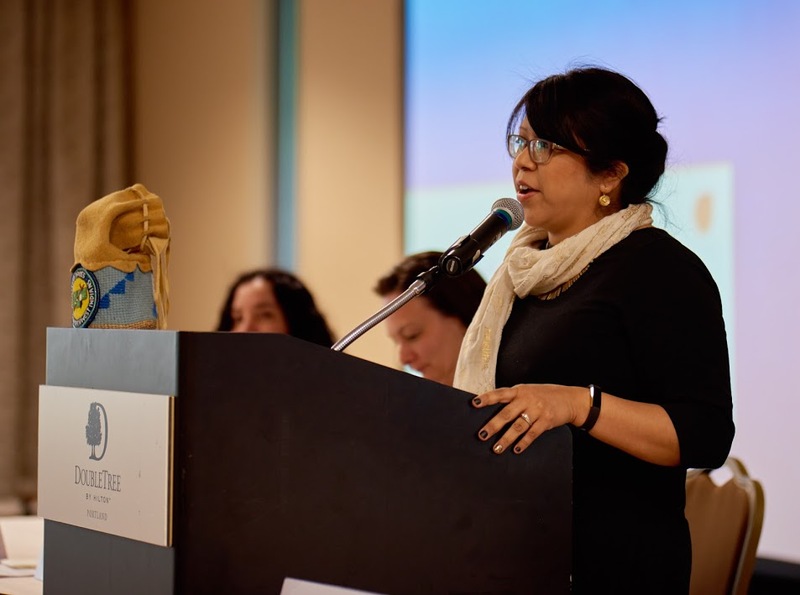 Ms. Calica has 20-years of experience as a field, legislative, policy, planning, and regulatory advisor with the U.S. Attorney’s Office-District of Oregon, U.S. Army Corps of Engineers, and various Indian Tribes. Ms. Calica has extensive professional experience in intergovernmental affairs, hydrosystem planning, resource conservation, and tribal energy policy. She has also served as a White House Intern and Mark O. Hatfield Congressional Fellow in the U.S. Senate. Mr. Shirod Younker (Coquille/Miluk Coos), a Native artist, program manager, and tribal canoe skipper. Mr. Younker also manages the only pre-college Native American Art program at Oregon College of Art and Craft for indigenous teens, which was founded in 2004 has included Native American, Native Hawaiian and Maori students. Mr. Younker serves on the Coquille Indian Tribe's Culture Committee. Mr. Younker has a degree in Fine Arts from Oregon State University..
Mr. Calica is a member of the Warm Springs Tribe (Tygh and Clackamas Bands). He is both a practicing and investment Partner in Kanim Associates, LLC. Mr. Calica recently retired, after three consecutive terms, as the Chief Executive Officer and Secretary-Treasurer for the Confederated Tribes of Warm Springs. Prior to Mr. Calica's appointment as Chief-Executive Officer and Secretary-Treasurer he served the Tribes' as the Chief Operations Office (COO). Prior to the COO, assignment, he served for over 15-years as the Tribes' Natural Resources Department, General Manager. Mr. Calica has extensive experience and expertise in complex and dynamic financial, multi-party, business, policy, and development initiatives. Ms. Schaff has over 25-years of professional experience as an attorney, legal counsel, policy adviser, and technical consultant. Her experience includes work for the Western Area Power Administration, Native Power Corporation, and Utility and Energy Specialist at Dames & Moore, and co-founded the Law Office of Schaff & Clark Deschene, LLC. Ms. Schaff has extensive expertise with tribal energy development, utility formation, strategic energy planning, energy efficiency and conservation, legislative and policy analysis, and regulatory expertise. We work on many unique and often complex projects that require some added expertise from highly reputable Associates. Through close coordination with our clients we have enlisted team members with engineering, accounting, economics, archaeology, history, specialized art and cultural expertise, and we’ve even hired some master tribal wood carvers. Our goal is to provide our clients and customers the best possible services and products.